Why do some bands flame out and fade away after five years, but others flourish for decades, surviving shifting lineups, squabbles, rock 'n' roll hedonism, and even wholesale transformations? Finding that elusive algorithm of survival is hard for 20 or 30 years, let alone five decades. So if there's one regent of resilience—and reinvention—it's probably Fleetwood Mac, marking its 50th anniversary in 2017. Even more significant (and well-deserved) is the band's resurgence and predominance as a big influence on much younger bands and artists, like The Head and The Heart, Best Coast, Tame Impala, Lake Street Dive's Bridget Kearney, Wild Nothing, Metronomy, Pure Bathing Culture, Bear's Den, MGMT, Sharon Van Etten, and scores more. A respected powerhouse of British blues during the Peter Green years of the late 1960s, following Green's departure in 1970, Fleetwood Mac rapidly rotated through band members like Danny Kirwan, Bob Welch, Jeremy Spencer and others. The band's tenth lineup (in its first seven years), and its most recognizable and enduring, finally came together on New Year's Eve 1974: Brits Christine McVie, John McVie, and Mick Fleetwood and Americans Lindsey Buckingham and Stevie Nicks. That quintet has mostly stuck together as an artistic unit for 43 years, give or take romantic travails, bitter spats, solo albums, Christine's 16-year retirement, and the temporary defections of Buckingham and Nicks. What lies behind the weird magic of Fleetwood Mac's longevity? The band's revolving door of musicians and interpersonal discord would have crippled most groups. Even the very nationality of Fleetwood Mac changed course midstream—what began as a swampy English rock band in 1967 adroitly shapeshifted into a sensual, British-American pop phenomenon less that a decade later, flipping from rainy London blues to the hard, glittering sun of Los Angeles. The ability to shift gears, to allow the free-spirited, clear-eyed (and sometimes coked-out) perspectives of three gifted but very different singer-songwriters to thrive — Buckingham, Nicks and Christine McVie — elevated Fleetwood Mac into a behemoth band that has few peers in rock history. In the heyday of '70s rock radio (AOR), when female musicians were brusquely sidelined by male programmers and FM playlists overflowed with testosterone, Fleetwood Mac's Stevie Nicks and Christine McVie, along with Heart's Ann and Nancy Wilson, Jefferson Airplane's Grace Slick, Janis Joplin, Blondie's Debbie Harry, and the Pretenders' Chrissie Hynde, became icons of gender equality in a sea of male swagger. The strong sisterly bond between Christine and Stevie likely kept the fractious band together too, especially during the high drama of the making of 1977's Rumours when their relationships with John and Lindsey had soured badly. In fact, the entire history of Fleetwood Mac reads like a sprawling, over-the-top Dickensian melodrama with guitars. Fifty years ago, Green and Fleetwood left John Mayall and the Bluesbreakers to form their own band, eventually coaxing fellow Bluesbreaker bassist John McVie and guitarist Jeremy Spencer to join them. By the release of the band's second UK album, 1968's Mr. Wonderful (released with a different tracklisting as English Rose in the States) guitarist Danny Kirwan had joined the group and Chicken Shack keyboardist (and McVie's girlfriend and eventual wife) Christine Perfect contributed. Following 1969's Then Play On, Green's devout Christianity matched with a heavy use of hallucinogens and struggles with schizophrenia became an insurmountable obstacle for the group. After just three years and three albums, Green left the band, but his legacy remains via those recordings and mighty tracks like "Black Magic Woman," "Oh Well," and "Rattlesnake Shake." Spencer disappeared after 1970's Kiln House — he quite literally disappeared, suddenly abandoning Fleetwood Mac to join an extreme religious cult — but the transition to Christine McVie as a core member was already underway. She officially became a member of Fleetwood Mac by the release of 1970's Future Games, which also included another new member, Bob Welch. Although the span of 1971-1974 with Welch is often viewed as a transitionary time, albums like Bare Trees, Penguin, and Mystery To Me bore solid songs, like Welch's "Sentimental Lady" and "Hypnotized," and Christine McVie's "Why" and "Remember Me" and the Welch-McVie track "Did You Ever Love Me." But that lineup of Fleetwood Mac flamed out with some histronics too: a violent dustup between Welch and Kirwan (Kirwan was sacked), an affair between guitarist Bob Weston and Mick Fleetwood's wife Jenny Boyd (Weston was sacked), and even an ersatz Fleetwood Mac (yes, a fake Mac) drummed up by the band's then-manager. Welch quit in December of 1974, following Heroes Are Hard To Find. With the release of 1975's Fleetwood Mac — smartly eponymous to reflect the group's rebirth — the band's great expectations were realized. With the subsequent juggernaut of Rumours (1977), Tusk (1979), Mirage (1982) and Tango in the Night (1987), there's no underestimating the input of producer Richard Dashut and engineer Ken Caillat too. It was a flawless creative team. It's hard to believe that the 40-year-old Rumours, such a totemic album, was Fleetwood Mac's eleventh LP, released on February 4, 1977. The group's romantic angst was a source of journalistic fascination during the recording of those songs, as examined in Cameron Crowe's 1977 Rolling Stone cover story, but there was something revolutionary in Fleetwood Mac's choice to create art from pain in a climatic three-way interaction: Nicks to Buckingham, Buckingham to Nicks, McVie to McVie. The Rashomon effect of the deeply personal and sometimes bitter arc of those songs, like McVie's "Songbird," Nicks' "Dreams," or Buckingham's "Go Your Own Way" (and Nicks' B-side "Silver Springs") was compelling and relatable to anyone who had ever fallen in (and out of) love. The percussive sorcery of Fleetwood and John McVie's elastic basslines equalled one of best rock rhythm sections ever. Although initially seen as a commercial failure, Tusk was a masterpiece for its ambitious sprawl, individuality and doggedness. Buckingham's experimentalism (inspired by Talking Heads), Nicks' evolution as a songwriter, and McVie's earthy steadfastness gave way to songs like the brassy title track, the epic "Sara," "That's All for Everyone," "Brown Eyes" (which featured Peter Green on guitar), "Beautiful Child," "What Makes You Think You're The One," "Think About Me" and more. Recent reissues of Tusk and Mirage and a forthcoming deluxe edition of Tango in the Night, released on March 30, have affirmed the real strength and depth of those albums, now eagerly rediscovered by younger generation. While the Buckingham-less Behind The Mask (1990) briefly included two new band members, Billy Burnett and Rick Vito, the reunion of the core five members for President Bill Clinton's 1993 Inaugural Ball was the last that the quintet would be together again until 1997, for a live concert that would be released as The Dance and sparking a subsequent tour. Although Christine McVie retired in 1998, she returned to the fold in 2014 for another massive world tour. 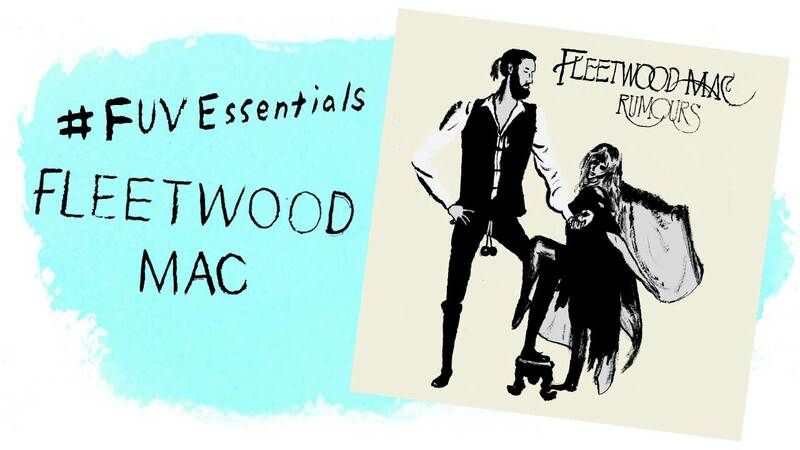 A band like no other—and that's exactly why Fleetwood Mac is one of our FUV Essentials.